We’ve had some amazing weather recently. And while there may have been a few April showers in between, we really can’t complain too much about those because we know all too well that they help make our surroundings more lush. With us just coming off of a long weekend and entering into a brand new week, we hope you’ve had your fill of rest. Now, it’s time to take full advantage of the weather and enjoy all the activities going on in the city and around the province this week! Here’s all that’s hot. If you have a weakness for sweetness, particularly that of the chocolate variety, then a month-long chocolate fest is the perfect way to satiate any sugar craving. Ciao!’s annual ChocolateFest offers the chance to indulge in some of the most decadent desserts across the city, but only for the month of April. For the Dan Brown fans, the Hermetic Code Tour of the Manitoba Legislative Building is the perfect way to discover an architectural wonder while uncovering a few mysteries of the occult. Join Dr. Frank Albo as he takes guests on a journey unlike any other filled with intrigue at every turn. Get ready to be blown away by the talents of the ARTKIDS, Art is… Exhibition. For four days this week, the Golden Prairie Arts Council Gallery will feature the creations of these kids and their interpretations of what art is to them. 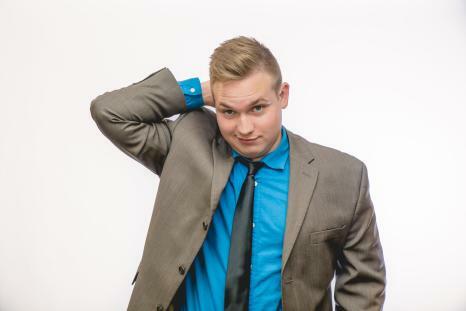 On the heels of another fantastic Winnipeg Comedy Festival, Rumor’s Comedy Club is back at it, doing what it does best: bringing the laughs. 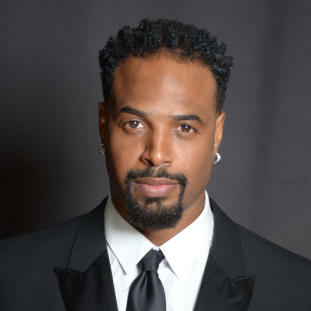 Don’t miss your chance to see Matt Falk – especially if you missed him during Comedy Fest – and Shawn Wayans, just one of the members of Wayans family empire of entertainment and comedy. Before there was the Royal Aviation Museum, there was Trans-Canada Air Line, one of Canada’s busiest air centres. With Winnipeg being centrally located, it was the perfect location and housed as much as 1,200 people. If the history of this building and its transformation intrigues you, then stop by for the April Guided Tour: Early Days of Passenger Travel. The Annual Spring Artisans Market 2017 is back for its 12th exciting year. 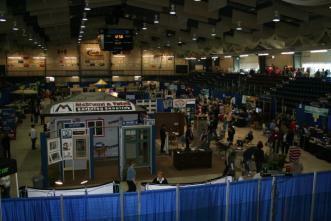 This Wednesday, Manitoba Hydro will be abuzz with excitement as Manitobans display their crafts for sale. 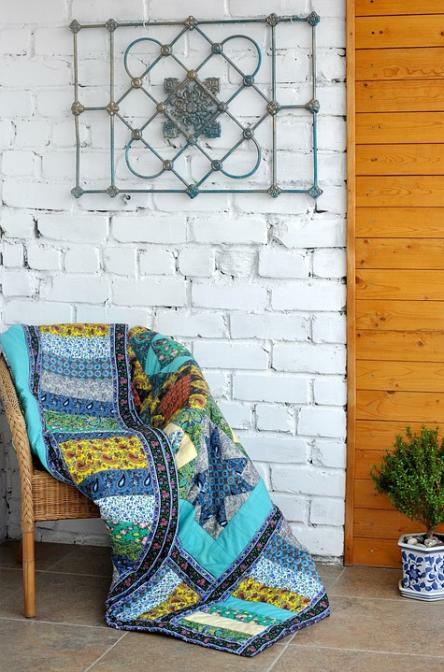 You can look forward to beautiful, one-of-a-kind pieces, functional creations and handcrafted items such as stained glass, sculptures, pottery, jewelry, woodwork, fabrics, and more. What better way could you possibly imagine spending the middle of the week than getting comfy and taking in a classic at the Dalnavert Museum? This week, the museum is hosting not one, but two shows as a part of Reel Canada’s National Canadian Film Day. The first, The Red Violin, begins at 2 p.m., and recounts the tale of a perfectly crafted, 17th Century violin. At 8 p.m., Guy Maddin’s critically acclaimed My Winnipeg takes you on a tour of the city he calls home. If you enjoy a hearty breakfast and can’t wait for the chance to go birding, then we’ve got the perfect opportunity for you to enjoy the two in one outing. FortWhyte Alive is hosting its Birding and Breakfast Spring Migration hike from sunrise. This hike is for beginners and experts alike and runs every Wednesday until May 31. With Red River settlement as its backdrop, Sarah Ballenden tells the story of the Métis wife of a high-ranking Hudson’s Bay Company officer who shows true grit even in the midst of turmoil when everything and everyone seems to be against her. Fascinated by the stars? Curious about what lies beyond? Spend an informative evening at Oak Hammock Marsh for Astronomy Night – Telescopes. There will be an indoor presentation by Royal Astronomical Society of Canada followed by an observation session from the rooftop where several telescopes will be available. There will even be a door prize telescope giveaway! Pantages Playhouse will be putting on another great production with Ruddigore: The Witch’s Curse. We won’t give too much of this plot away, but what we will say is that you can look forward to a complicated plot of hilarious twists and turns that will keep you glued to the stage. Oh! We forgot to mention that the music will also be exceptional! If you’re pressed for time, but still crave some arts and culture in your already packed schedule, the WSO’s Bartók Concerto for Orchestra at Centennial Concert Hall, led by conductor Alexander Mickelthwate, promises to give you just what you need with only an hour of your time that you’ll have to spare. This Friday matinée takes you behind the scenes with an open rehearsal where you’ll hear the conductor introduce the selected work and comment to the orchestra. There will also be a complete performance of the work followed by a question and answer session. If you’re looking for some eclectic flair to add to your music collection, then you may want to check out a live performance of Little Miss Higgins as she comes to Pinawa. Known for her varied musical and lyrical style, her brand of music may be just what you’re looking. Join master soloist Tianwa Yang at Centennial Concert Hall for a spell-binding interpretation of Brahms’ Violin Concerto. 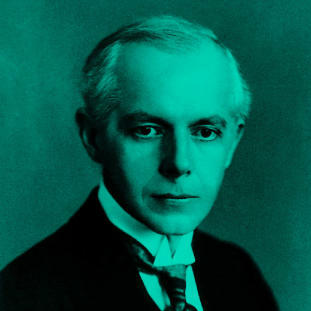 The evening will culminate with Bartók’s amazing Concerto for Orchestra. 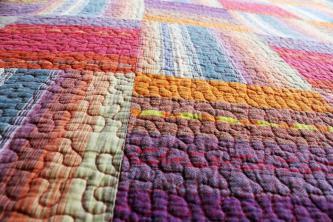 If you are fascinated by the craft of quilting, then you won’t want to miss The Art of Quilting Quilt Show. 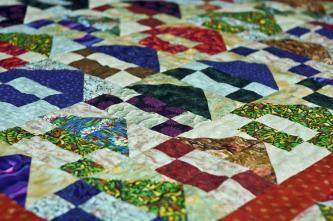 This two-day event will feature displays of quilts and quilting projects. 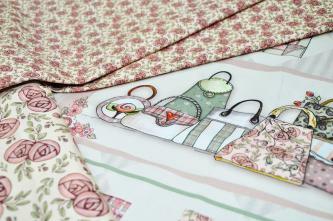 There will also be a quilt raffle, door prizes and a silent auction. For a new twist on an old tale, check out the Manitoba Theatre for Young People this weekend for its presentation of Gretel and Hansel. In this script, Gretel isn’t quite pleased with the idea of Hansel being in the picture and schemes to get rid of him right along with the witch. It’s springtime and the Winnipeg Art Gallery is in the mood to celebrate. 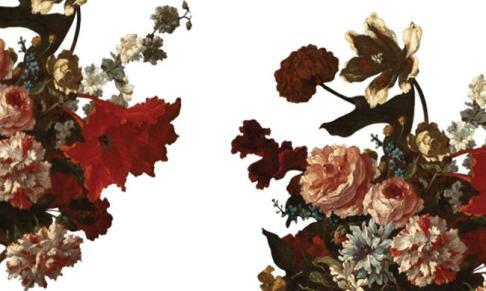 You can celebrate right along with the WAG at its Art in Bloom: Celebrate spring! exhibit, with floral arrangements inspired by artwork from the WAG collection. 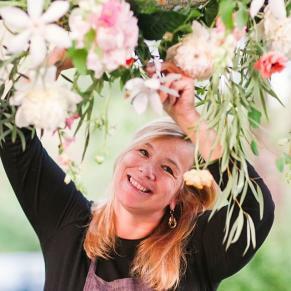 On April 20, there will be refreshments served and acclaimed international florist, Holly Heider Chapple will also be on hand at this event. Hit the La Riviere Raptor Festival! Birders, this is definitely your week! Get out and into your element at La Riviere Raptor Festival 2017 at Blair Morrison Hall. Celebrate the spring migration of some of nature’s most amazing birds, including hawks and eagles through Manitoba’s scenic Pembina Valley. Don’t forget to bring your binoculars and camera. Kids are also welcome to this event! Rock and Roll Hall of Famer Jackson Browne is bringing his honest, emotional style of music to the Burton Cummings Theatre for one night. With hits like “Running on Empty”, “Doctor My Eyes”, and “Take It Easy”, which was also a worldwide hit for the Eagles, it’s guaranteed to be a nostalgic night. She may be only 5 ft. tall, but singer-songwriter and guitarist-violinist Raine Hamilton packs a punch with her powerful and raw sound. Don’t miss the opportunity to be moved by her music when she performs at the Williams Glesby Centre. Get your kids involved in a few eco-friendly activities for Earth Day at the Children’s Museum. You can also bring in your recyclable materials to donate to the Pop m’Art gallery. 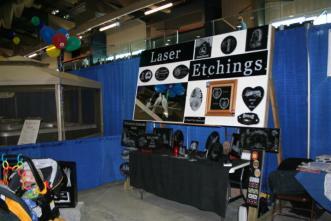 For a day of family fun, head to the Steinbach Curling Club for the Eastman Family Expo at the. 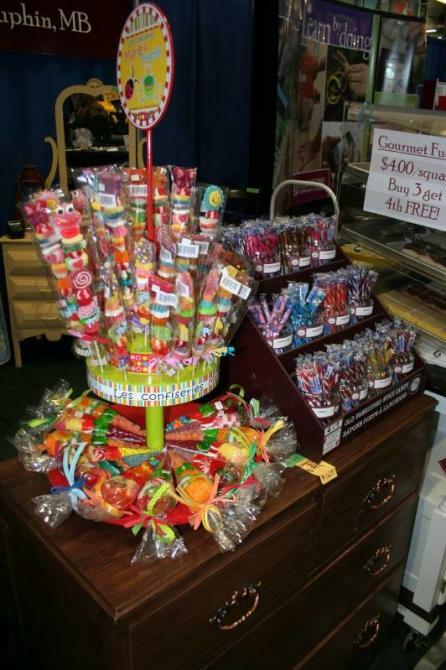 There will be live entertainment, and booths that feature local products geared towards families. Considering ways to make your garden more inviting to wildlife during the spring and summer months? Oak Hammock Marsh has a few great ideas and will be sharing them in a two-day workshop. There you will learn how to attract birds, butterflies, and even bats to your garden with nesting structures. 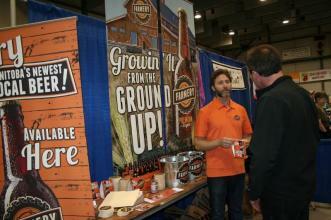 For 28 years, the Kinsmen Club of Dauphin has been hosting the Kinsmen Business Expo. This year, the tradition continues at the Dauphin Parkland Recreational Complex. You can look forward to learning about new products and services, increasing brand awareness and networking. Get ready for the 7th annual presented by Habitat for Humanity’s Women Build. This event is a major fundraiser for the organization in its efforts to provide homes for low-income families. This year’s show takes place at the Delta Winnipeg Hotel. Remember the Harlem Globetrotters? Remember sitting at the edge of your seat watching all the exciting moves as they dunked the basketball into the hoop? Well now you can experience this action-packed event firsthand as The Original Harlem Globetrotters make their way to the MTS Centre for one night only! A perfect evening to spend with the family! If you enjoy the music of greats like Leonard Cohen, The Guess Who, and Joni Mitchell, then an evening with Amber Epp at The Park Theatre is a good place to stroll down music’s memory lane. Epps doesn’t simply cover these musical geniuses, but endeavours to preserve the original spirit of their works, while presenting it with a new energy all her own. John Tessier will play the protagonist Werther in the upcoming French production. John Tessier website. If you’re considering a trip to the opera any time soon, particularly a trip to Manitoba Opera’s Werther, a primer might be in order. 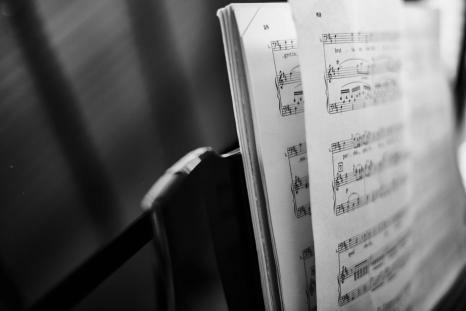 Music expert Don Anderson will be your guide during an hour-long presentation that will focus on the life and career of French composer, Jules Massenet, the genius behind Werther. This primer takes place at Université de Saint-Boniface.